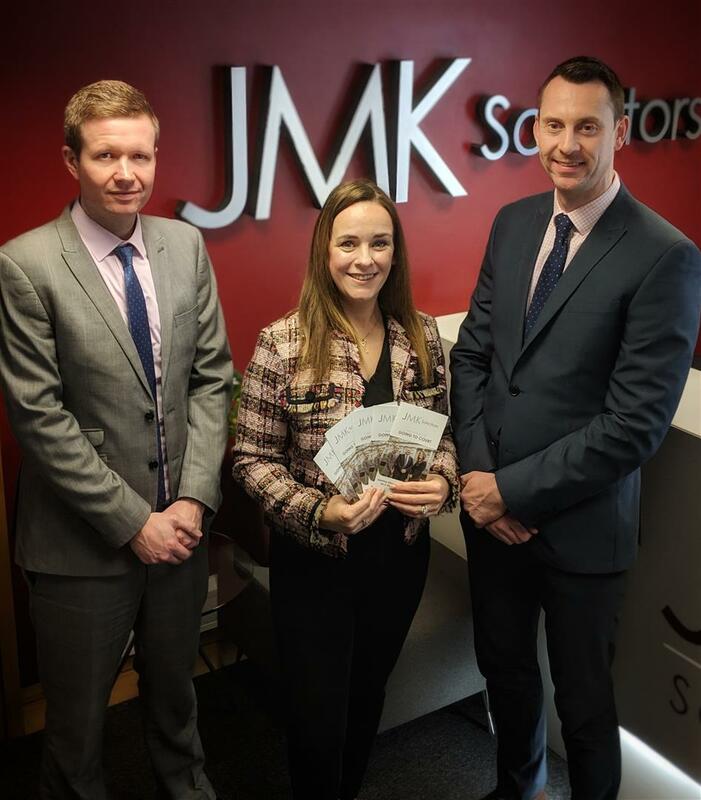 JMK Solicitors, Northern Ireland’s leading personal injury and road traffic law firm, have launched an innovative information guide for any client who has to attend court. The guide explains what clients can expect on the day of their court hearing, and includes guidance and information on every step of the hearing process. Marie-Claire Meehan, Litigation Coordinator at JMK Solicitors, said “Going to court can be very a daunting experience for our clients. We make people our priority throughout the court process and we have created this short guide to make our clients aware of what they can expect during their day at court. Established in 2003, JMK Solicitors is a specialist legal practice that assist clients solely in recovering compensation following an accident. For each of the last 5 years, JMK have handled more personal injury cases than any other Northern Ireland law firm. To contact JMK, or receive a copy of the Court Guide please call 028 9032 0222, email law@jmksolicitors.com or visit www.jmksolicitors.com.